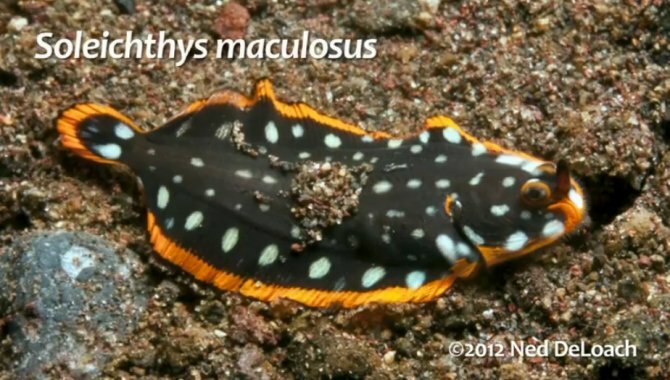 Nature is wonderful, as the little fish featured in this video shows. Hardly bigger than your fingernail, this juvenile Whiteblotched sole, Soleichthys maculosus, has evolved to mimic a flatworm, most probably Pseudobiceros scintillatus. The fish was filmed in Bali, Indonesia. You can find out more about it on The Blennywatcher Blog.